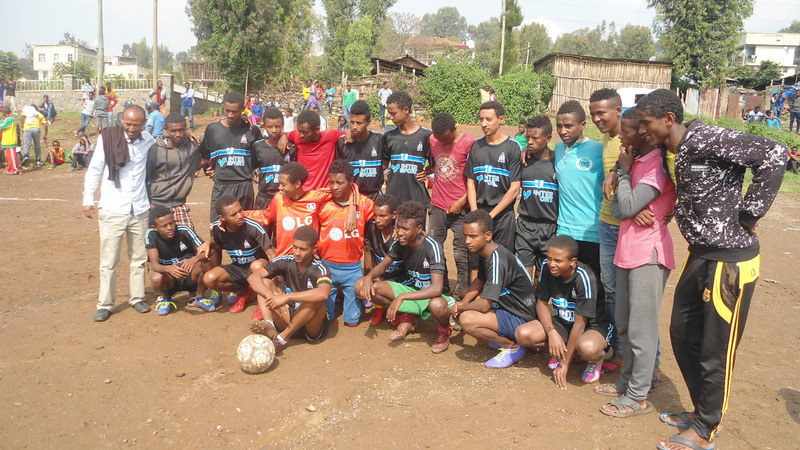 It was a busy week for our Summer football team, the Link Ethiopia Wolves. The Wolves competed in four matches, battling through the group stages of the Gondar Under 17s Cup tournament, last week. The first game was against ‘Esufikir’. Both teams were strong and remained upbeat throughout the match. At the end of the first half, the score was 1-1. Despite the Wolves best efforts, Esufikir gained the upper hand and scored their second goal. Esufikir won the match 2-1. The second game saw The Wolves facing ‘Brigata.’ After the Wolves defeat against Esufikir, they were more determined than ever to win this game. If they were to lose, they wouldn’t proceed to the semi-finals. The band of brothers, drawn from Link Ethiopia schools across Gondar, definitely didn’t want to go home yet. In an early bout of energy and enthusiasm, The Wolves scored an early goal in the first half, which ended 2-0. In the second half, The Wolves kept energetic and sealed their victory with another goal. The final score was 3-0! This was one of their best scores, not to mention displays of skill and tenacity, yet. Things were looking up…. By winning the match against Brigata, the team entered the quarter-finals with confidence. The third game in a week was against a team called ‘Fuad Grocery’ – some of the participating teams come from schools or NGO’s, like ours. Fuad Grocery is one of the teams sponsored by a local business. Cheered on by growing numbers of avid fans the team won 2-1 and secured their reputation ahead of the semis. The Wolves were on a winning streak as the semi-finals approached and it was tense for all involved – from the players to their coach and the Link Ethiopia staff in Ethiopia and the UK. In the semi -final game they played against a team regarded as the best and most competitive competing in the tournament: ‘Medhanealem’ whose players loom larger-than-life and display a level of skill usually reserved for older players. Yet, despite this intimidating presence, The Wolves managed to score an early goal in the first half. Their tenacity and skilful defending saw The Wolves dig in and securing the match 1-0. The Link Ethiopia Wolves have now qualified for the finals once again. They play against Esufikir – the only team they lost to this year. 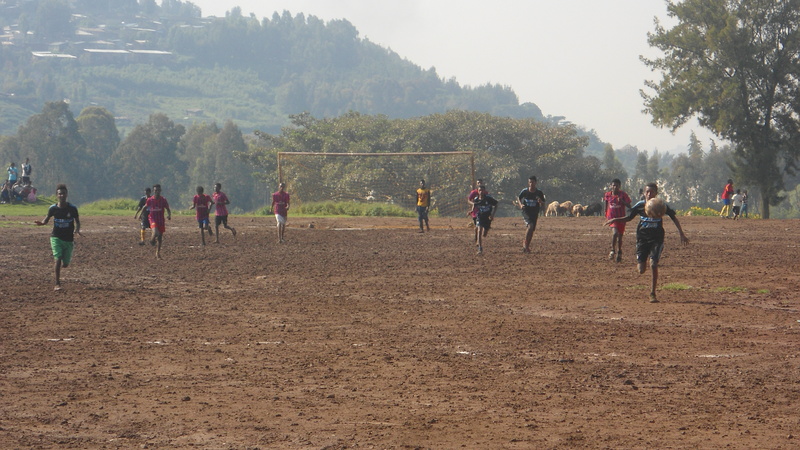 Last year our team made it to the finals, against ‘Kebele 03’and lost – on penalties! It was a tense and nerve racking final that ended in disappointment. We hope that this year the result will go better for the Wolves. We know they’re ready for this year’s finals and we can’t wait to see how they do. Previous PostVictory goes to The Wolves! Next PostHappy International Literacy Day!